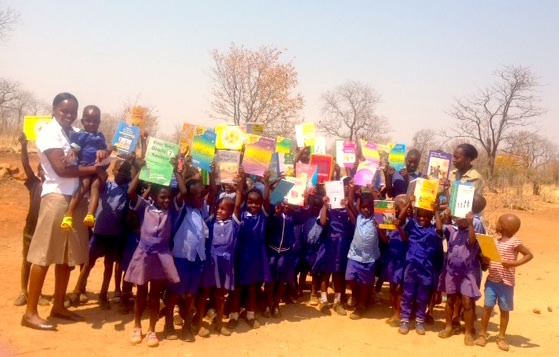 During her holiday in Victoria Falls in April, one of our Victoria Falls Safari Club guests, Lisa Obermeit, asked us if there were any schools that were in need of books because she wanted to help the local people of the town in some way. Masuwe Primary School and Monde Primary School were two local schools near Victoria Falls that were desperately looking for books, and so Lisa initially decided to kindly donate $500 to each of the schools for the educational books that they needed, a generous donation totalling $1000. Lisa, myself and three other Victoria Falls Safari Lodge resort staff went along to the schools and donated the books, which were accepted by the grade 7 teacher and kids with great joy. But while we were there, we realised that there was nowhere to store the new books as the school had a serious lack of shelving. Lisa didn’t have much time in the Falls during her holiday, but she went back to the United States and promised that she would help these schools further when she got home. As soon as Lisa got back to the States, she was already asking after the schools and offered to buy more books for both schools and also to pay for a new set of shelves at Masuwe Primary School so that they could store all their new books. 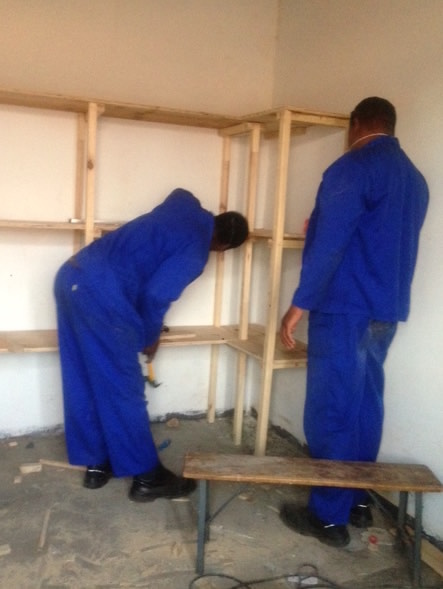 Victoria Falls Safari Lodge resort staff donated time, expertise and labour to Masuwe to have the room shelving measurements, and after a few days, we went back to install the shelving and then deliver the donation of the books. So Lisa’s generous donation to the two schools ended up totalling $2,000, which bought them 170 new books, as well as, of course, the shelves for Masuwe Primary School. It’s made a huge difference to the schools, and we are proud at Africa Albida Tourism to have been able to facilitate this project for Lisa and the schools, especially seeing the joy that it brought to the faces of the teachers and the children alike. We had the honour and pleasure of handing over the shelving and the books in the presence of Elderman Muzamba, the counselor for the Ward in Masuwe area, on behalf of our valued guest. Thank you to Lisa, and the all involved! 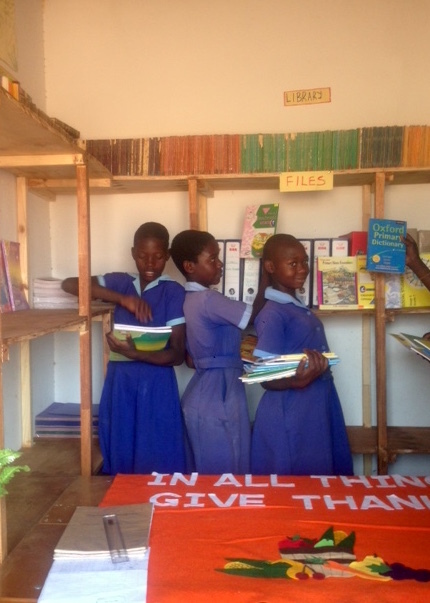 Children of Masuwe Primary School putting their books in the newly built book shelves.